As a baby boomer born in the late 1950s, I have a special affinity for the style of that time. Sleek, cool, clean, sophisticated, functional, colorful, mod and curvy—those are apt words to describe mid-century modern design. 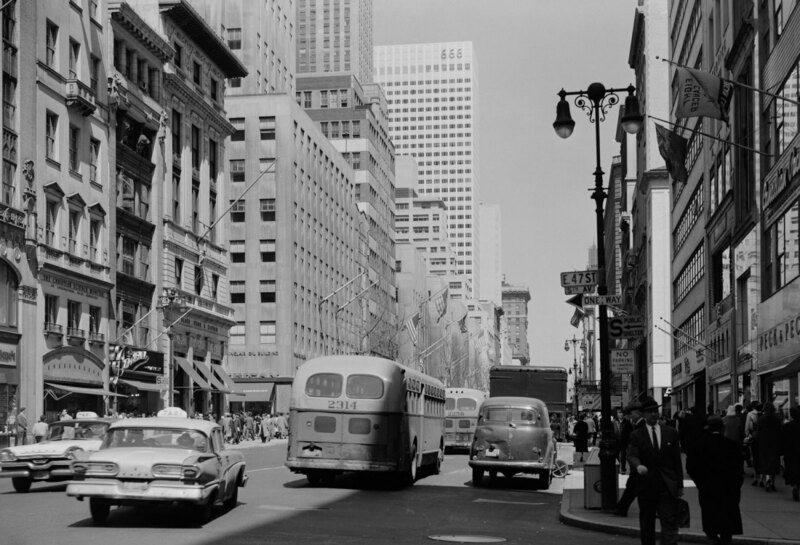 This term encompasses the trends that influenced architecture and interior design in prosperous, post-war America. Modernism, as a global movement, actually spanned five decades--from the 1930s to the 1970s. 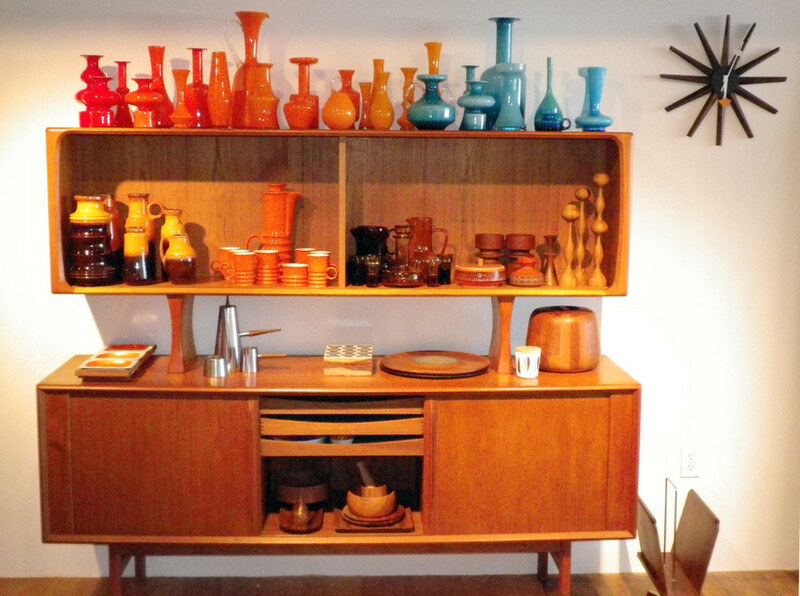 Mid-century modern is most closely associated with the period between the mid-1950s through the early 1960s. Scholars and experts give Frank Lloyd Wright credit for popularizing the mid-century modern movement in American architecture. However, one cannot overlook contributions of influential designers such as Ludwig Mies van de Rohe and LeCorbusier, for the look we have ultimately come to know as mid-century modern. 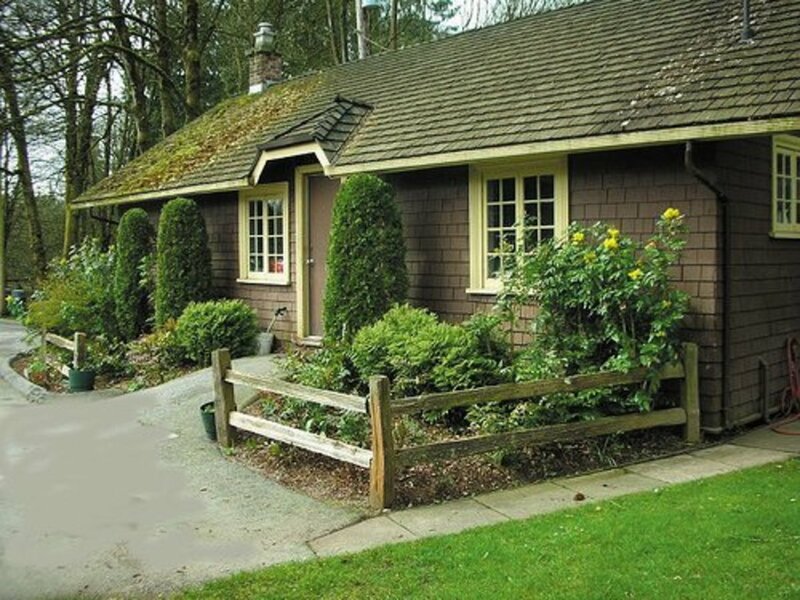 This style of residential architecture found its place in American post-war suburbs and flourished for several decades, with the height of the movement occurring in the 1950s. Mid-century modern’s strong influences are still present in home design today. Thanks to many regional architects and developers, there are wonderful examples of mid-century modern homes in most cities across the country. Today, mid-century modern architecture is reinterpreted with state-of-the-art, sustainable building materials and finishes, yet the overall design aesthetic remains virtually unchanged from its origins. 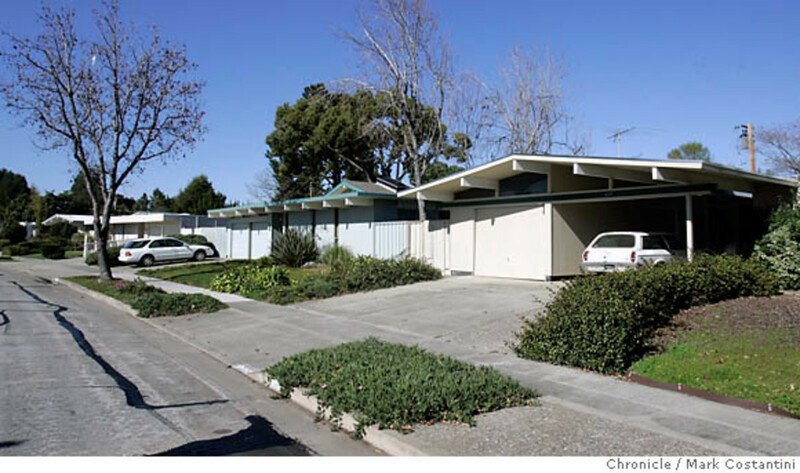 Mid-century modern architecture featured flat roofs, angular details and asymmetrical profiles. Expansive walls of glass, clean lines and wide open floor plans were also hallmarks of this residential style. This movement was also the first to use bi-level structures. 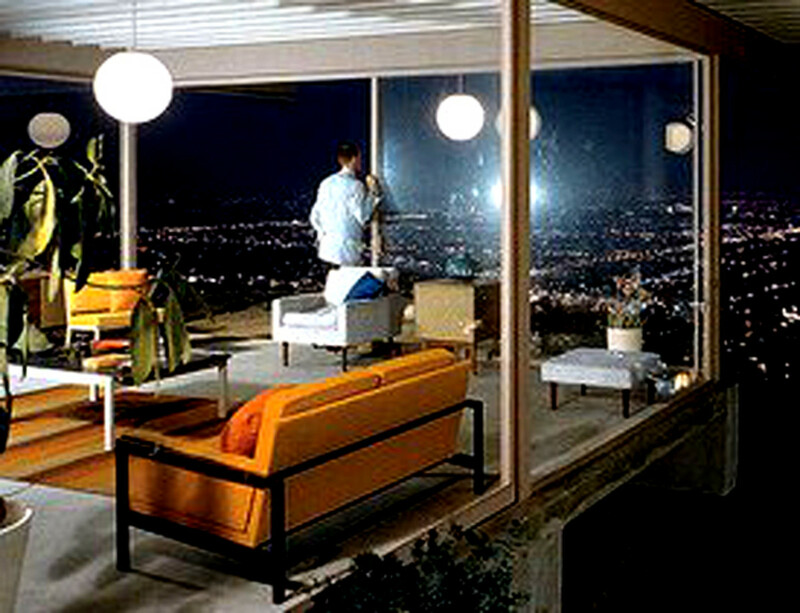 The mid-century modern approach married indoor spaces to the outside, which made it extremely popular on the West Coast. 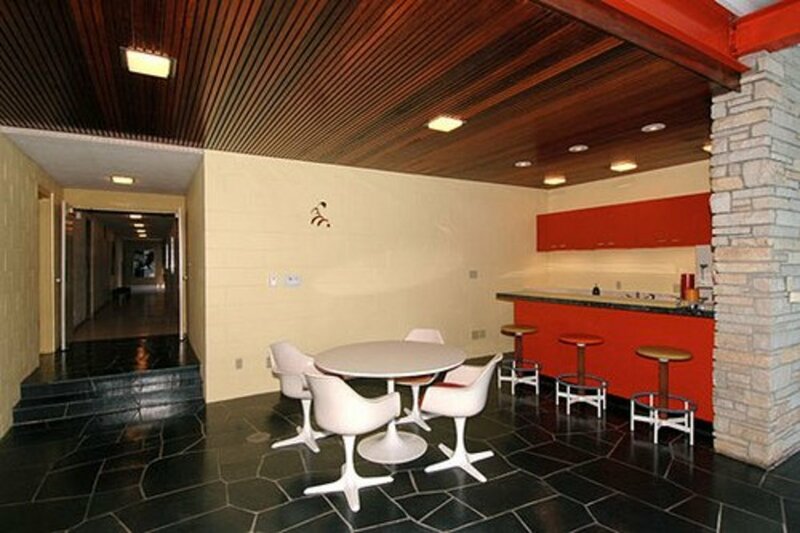 Mid-century modern style appealed to everyone. The well heeled hired the best architects of the day to design and build impressive custom homes. At the same time, suburban developers brought modern style to the masses, creating tract homes using the same design principles. Mecca for mid-century residential architecture is undoubtedly California. Joseph Eichler, renown builder and developer, brought the style en mass to the Bay Area and Los Angeles. 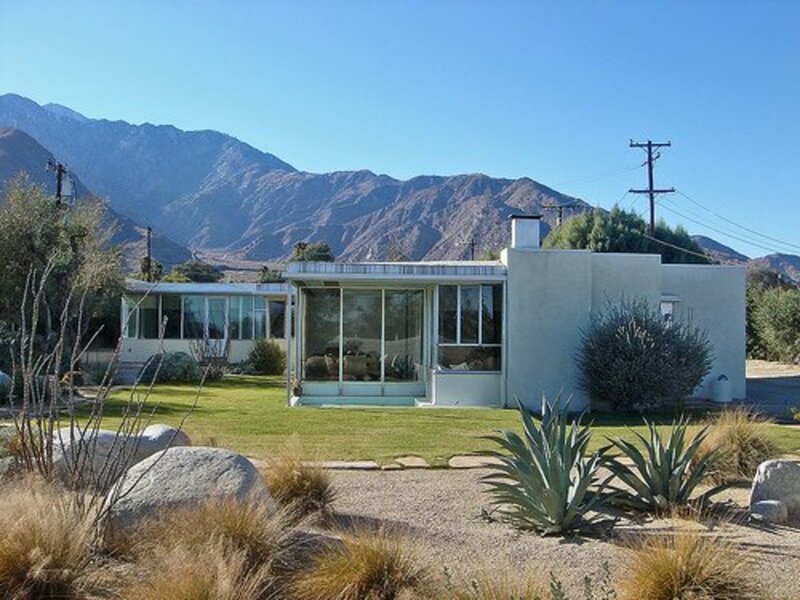 Born and educated in Europe, architect Richard Neutra immigrated to America and built his mid-century modern reputation designing striking, geometric residences that perfectly suited Southern California landscapes from San Diego to Palm Springs, Beverly Hills and beyond. 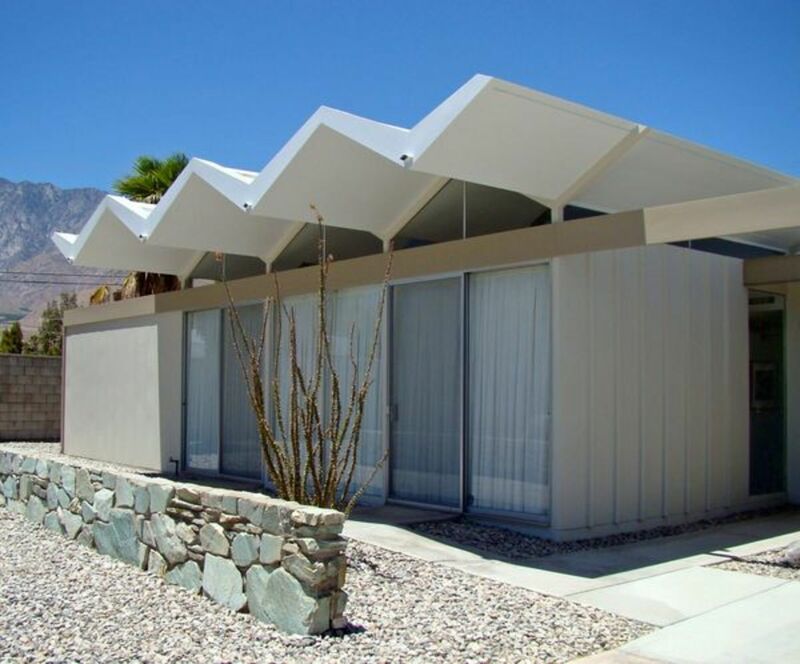 Working with prominent architects like Donald Wexler, the George Alexander Construction Company built more than 2,500 examples of mid-century modern homes in Palm Springs and surrounding areas – a style and trend that quickly took the entire country by storm. Architect John Lautner was an apprentice to Frank Lloyd Wright for six years before establishing his own successful practice in Los Angeles. He is known for establishing a “relationship of the human being to space and space to nature”, as is described in his biography on JohnLautner.org. 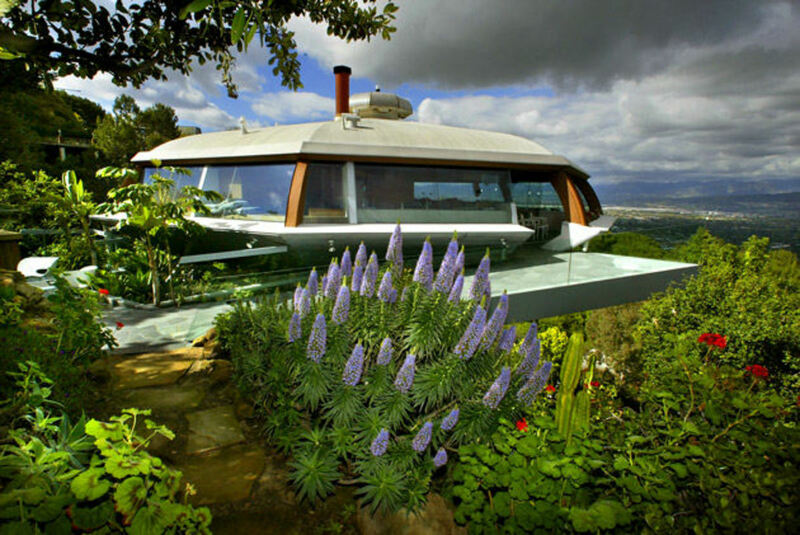 His space-age designs often integrated landscape elements into the home. 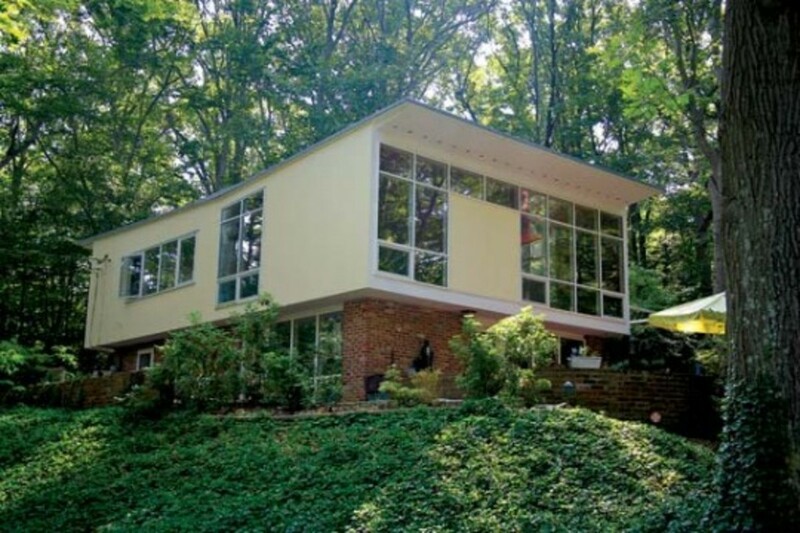 Charles Goodman, well-known for his large-scale housing development in suburban Alexandria, Virginia, created nine different home models with many mid-century modern features such as, flat or low-angled roofs, expanses of glass, vertical exterior siding panels and centrally positioned fireplaces. 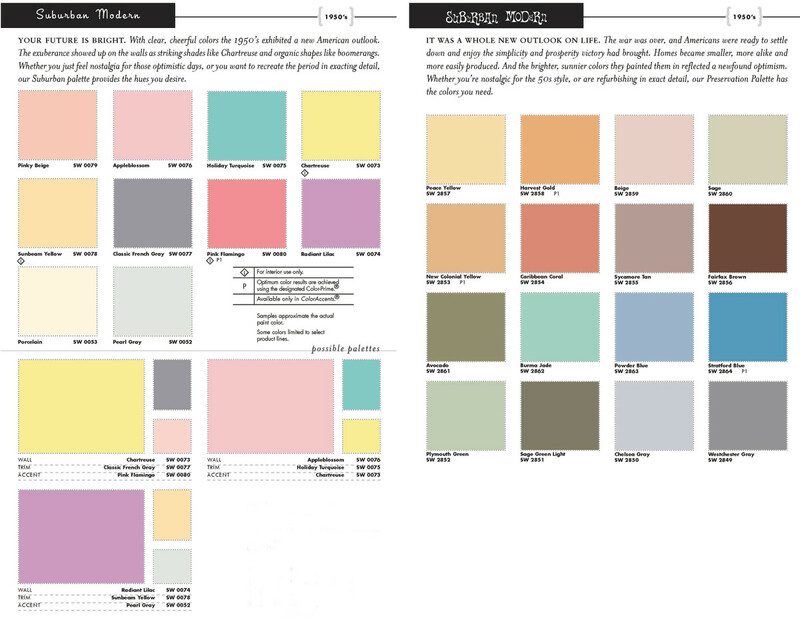 To create the look of a mid-century modern home through color, consider the color palettes of the day. 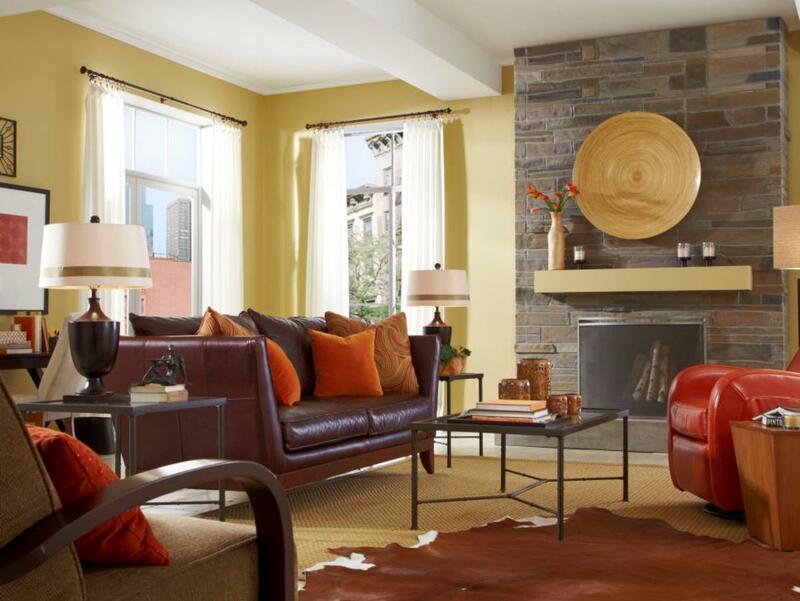 On one hand, warm, earthy tones created nature-inspired interiors. Think olive green, burnt umber, pumpkin and mustard yellow. The opposite side of the spectrum included trendy colors like pink, gray, turquoise, black and yellow. Somewhere in the middle were traditional colors held over from the 40s such as burgundy, blue and emerald green. Furnishings of the era took on a life of their own as American designers experimented with traditional materials and state-of-the-art substances developed for use during the war. Plastics, resin, metal composites, laminates and fiberglass all helped to fuel their boundless creativity. Furniture: Like mid-century architecture, the furniture of the time is unmistakable. Designers like Charles and Ray Eames, Herman Miller, Eero Saarinen and Isamu Noguchi were major contributors to mid-century modern furniture style. This look features organic, quirky geometric and curvilinear shapes made from a mix of natural and manmade materials. Plexiglass chairs and tables sit alongside sleek wood and wood veneer pieces. Bold patterns and colors typify the upholstery. 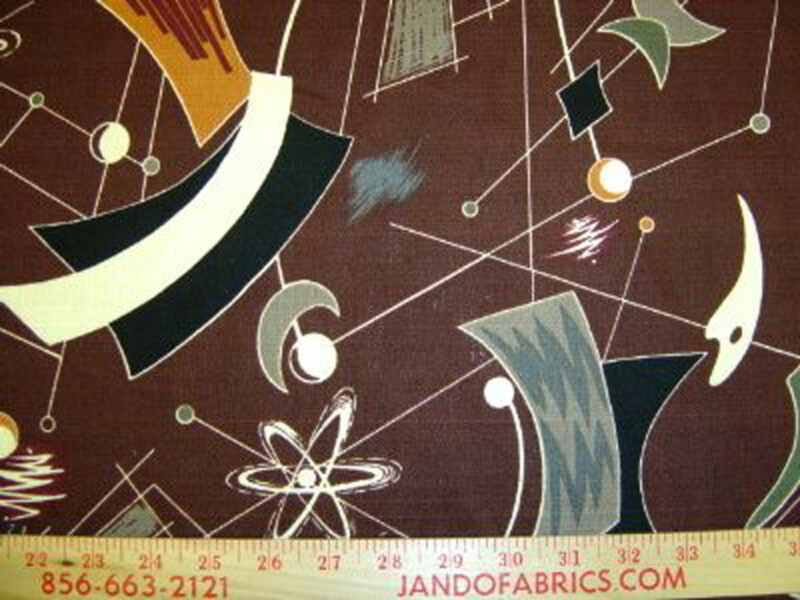 Nubby synthetic blends and rayon barkcloth came in bright solids or were adorned with tropical floral motifs and modern atomic-age patterns. Chrome dinette chair seats sported shiny Naugahyde with button tufting. Clean, sculptural lines exemplify mid-century modern furniture. The design characteristics of these furniture pieces transcend time, making them a relevant and popular choice for today’s homeowner. Vintage pieces are priced in the hundreds to thousands of dollars. Luckily many imitations exist and are still manufactured, giving us a cost-effective way to bring mid-century modern furniture into our homes. Home Accessories: An eclectic mix of item designs were available for accessorizing the home. Atomic and boomerang patterns, ethnic prints and starburst patterns showed up on everything from glassware to wallpaper. Pillows and drapery were woven from heavy synthetic fabrics and featured contemporary and ethnic-type patterns. Glazed decorative pottery graced coffee tables and hi-fi cabinets. 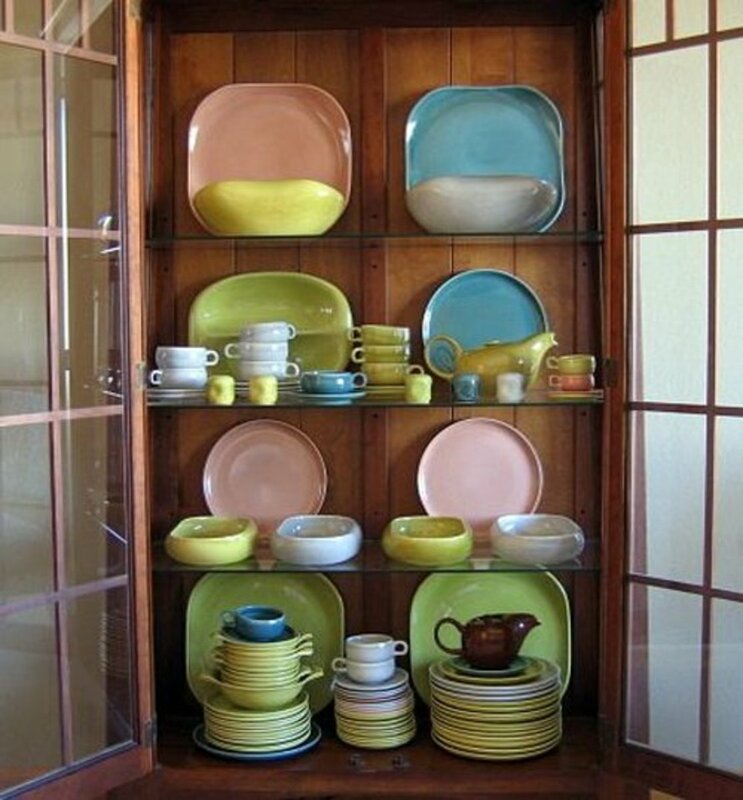 Dinnerware came in a colorful array of muted jewel tones and pastel shades. 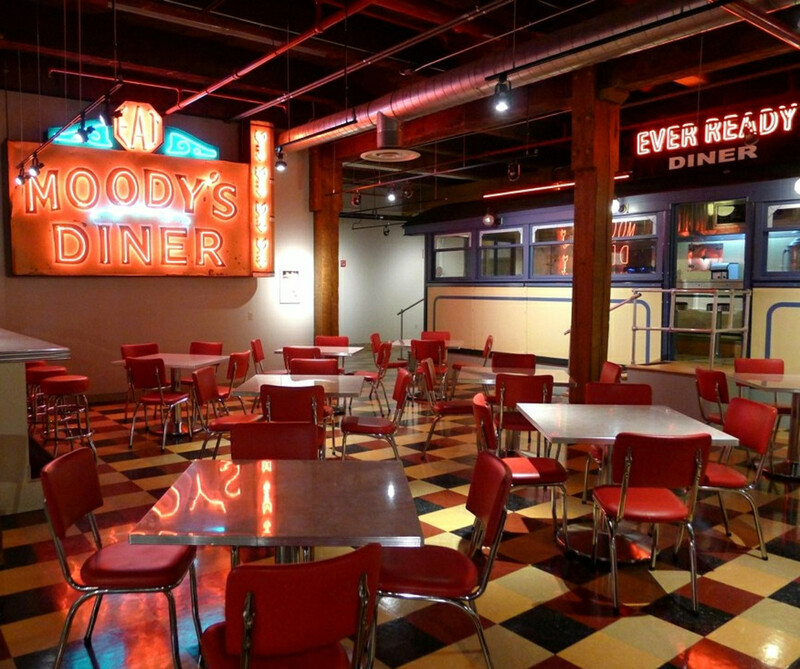 Kitchens were decked out in colorful turquoise or pink appliances and equipped with chrome toasters, brushed aluminum canisters and melamine dishes for every day use. 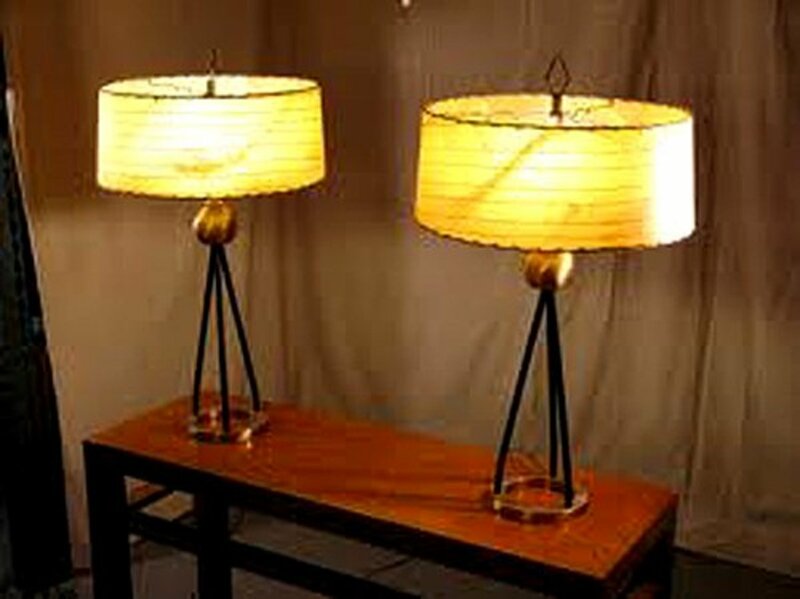 Tripod lamps, floor lamps with bendable arms and white balloon pendant lamps were all the rage. George Nelson’s iconic sunburst and atomic clock designs, made from metal and wood, hung in many living rooms next to modern art and ceramic and metal sculptures. What do you call the covered overhang from garage to home? It is called a breezeway. What do you call the half-wall that creates a "barrier" between the dining area and front door in some Wexler homes? We are hoping to buy a mid-century modern home in Sullivan County Tennessee. Would like to keep it exactly like it was built in 1954. How can we find out who the architect was? It could be Ryan Thewes, William Starke Shell, George Getter or a number of other 1950s-60s architects in Tennessee. Those are the only ones I could find. You might want to go to the local library and research mid-century modern builders in Sullivan County. Leave a Comment. I Would Love to Hear From You! Thank you, Tom N. from Moldova! Glad you enjoyed the article. MCM architecture and design are very appealing and on trend at the moment. Tom N. - Chisinau, Moldova! "The Midcentury Modern Landscape: Capturing the Classic Style"
This might give you some landscape inspiration for your MCM home. My family just moved into a MCM home. I am looking for landscape architects and designers from that era to begin planning our landscape. Do you have any designers or books that you can recommend to help me with my planning? Bob White, if it was Craft Associates, Inc. furniture made from 1950-1969, it is extremely popular now! When Joan & I first married and decorated our newly purchased house we furnished it with Craft Furniture. It was very mod at that time and we loved it. That was in the 1960's. When our grown children's friends of that era visit our traditionally furnished hose now their comments are " I remember the awesome furniture you had when we were young. We loved it" I wish it would make a comeback now. I'm ready to redecorate with it. Me too, Chantelle! It is such the rage right now. 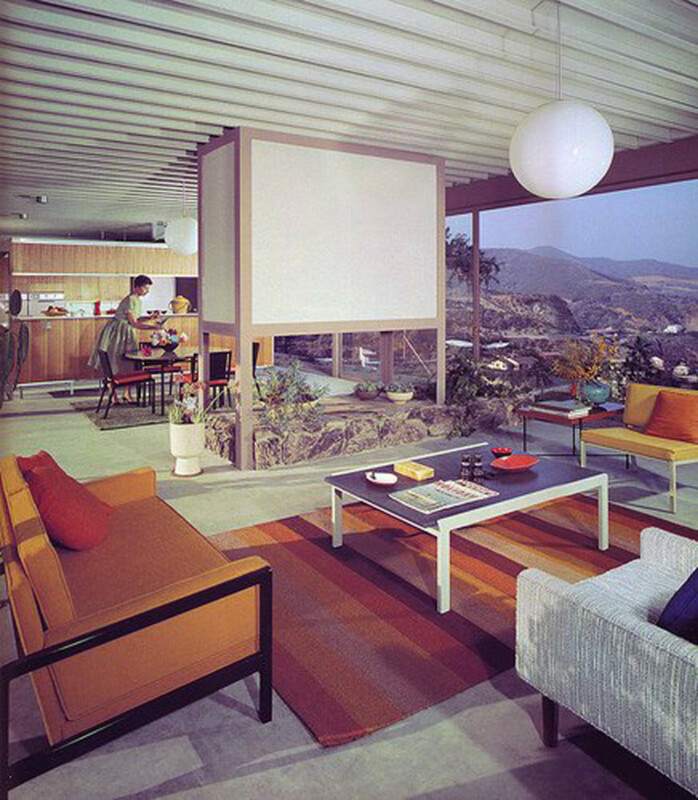 If/when I redo the house again, I'm leaning toward mid century style. I love the lines and minimal aesthetic. Thanks! I am so addicted to MCM. Great article. Johne252, so happy this article was helpful! 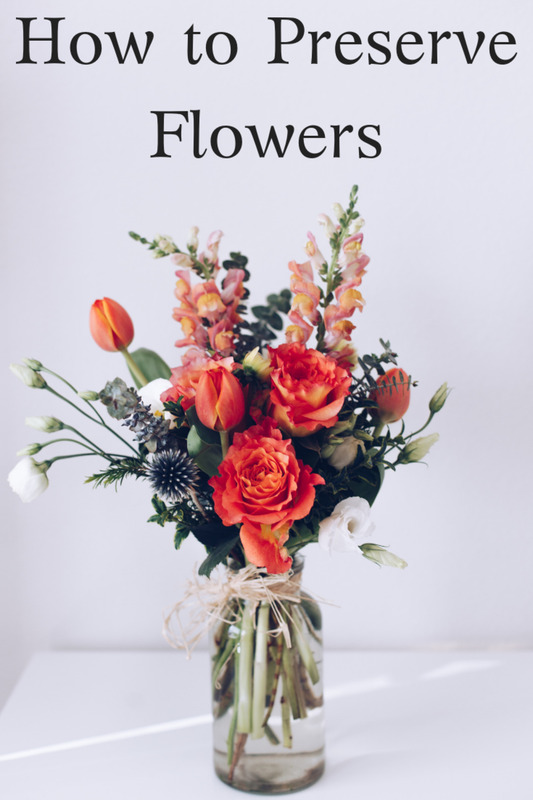 Thank you so much for reading and commenting. Yes, RTalloni, we were sending rockets into space and everything was fresh and new! It is fun to look back on a design movement that was not so far in our distant past! I'm pleased you enjoyed this Hub! What an interesting look at what I always think of as space-age designs. People were headed for the moon back then and every thing was new! The video is also interesting, amusing actually. The narrator uses the word new so many times one can't help but think of how retro all that exciting stuff and such now is. :) Thanks for this overview of mi-century modern style! Has anyone in Los Angeles ever come acorss a mid century modernist house designed by Leopold Fischer 1901-1975. He worked with Frank Lloyd Wright and James DeLong and apparently Walter White and built houses in the Hills and on the coast? I would love to hear from anyone who knows anything about him or his houses? Vanderleelie, thanks for the lovely complement, commentand votes! MCM definitely has roots in several international style movements. The Goodman home is indeed a stunner. I'm glad you stopped by for a read! Very good overview of 50s style. The Bauhaus influence and popularity of Danish design elements (teak furniture) give this style international roots. I like the sleek simplicity of the Goodman house. Voted up and interesting. Thanks so much rfmoran! I'm very flattered. So glad you enjoyed my perspective on and the history of this iconic style. This is a well written essay on a unique genre of American architecture. It's a resource to return to. Excellent photos and pictures. WE don't see many homes of this style but I have seen them when I visited friends in San Francisco/ San Jose area. I love the Chemosphere home, even though it looks futuristic. I enjoyed the read and photos on your hub. Voted interesting and awesome.